Governor Cuomo announced that $16.7 million in economic development funding has been approved for 25 projects that are spurring growth and opportunity statewide. Albany, NY - September 14, 2015 - Governor Cuomo announced that $16.7 million in economic development funding has been approved for 25 projects that are spurring growth and opportunity statewide. The funding, approved by Empire State Development’s Board of Directors, supports projects that are creating 333 new jobs and retaining 227 existing New York State jobs – many of which have already been created or retained. This funding will also leverage over $50 million in private assets and other public funding to support local businesses and projects that are building a strong foundation for future economic growth and job creation. The Genesee/Finger Lakes Regional Planning Council (G/FLRPC) will use a grant of up to $3 million for a portion of the cost to establish Growing the Agriculture Industry Now! (GAIN), a below-market rate revolving loan fund for agriculture-related enterprises. Established in 1977, G/FLRPC was awarded up to $3 million through Round 4 of the Regional Council process to fund GAIN, a regionally significant revolving loan fund that will focus on agriculture and agriculture-related enterprises in Genesee, Livingston, Monroe, Ontario, Orleans, Seneca, Wayne, Wyoming and Yates counties, adding value to these critical sectors of the region’s economy. GAIN’s goal is to make loans to approximately 30 companies resulting in the retention or creation of 150 direct jobs, and 450 indirect jobs. This priority project supports the Finger Lakes Regional Economic Development Council’s (FLREDC) plan by providing access to capital for the region’s businesses and supporting the agriculture and food processing business sectors. Surmotech, LLC, a full-service electronic contract manufacturer, will use a grant of up to $200,000 for a portion of the cost to purchase the machinery and equipment required to upgrade its manufacturing and testing facility in Victor, NY. Surmotech provides a full range of electronic manufacturing, assembly, and test services to the military, medical, industrial, optical, and telecommunications industries. Since 2013, Surmotech has experienced significant growth, and needed to upgrade its existing facility and add new production equipment. In 2014, in order to reduce costs and make the project feasible in New York, the company approached ESD for assistance. ESD offered a $200,000 capital grant, which the company accepted in June 2014 and was critical in Surmotech’s decision to remain and expand in New York. The project is slated for completion in September 2015, and as a result, Surmotech will retain 26 existing jobs and create 11 new jobs. The company has already exceeded this number, having created 14 new jobs. CenterState Corporation for Economic Opportunity (CenterState CEO), a not for profit corporation serving as the primary economic, community and business development catalyst in Central New York, will use a grant of up to $5 million for a portion of the investment fund, startup, administrative and program costs for the Growing Entrepreneurs & Innovators in Upstate New York (GENIUS NY) business competition. In June 2015, Governor Cuomo announced the launch of the GENIUS NY competition, a new business accelerator program for startups with a focus on data, cyber security, analytics and advanced data driven manufacturing, among other data-centric tecnologies. The competition will take place in Central New York, with CenterState CEO hosting the program at The Tech Garden, a leading business incubator in Syracuse. The program will invest more that $3 million in participating companies and contribute significantly to Central New York's evolving innovation ecosystem. To finance the competition, ESD has awarded up to $5 million to CenterState CEO for investment fund, startup, administrative and program costs. The competition consists of two rounds, and will be completed by July 2017. The YMCA of Greater Syracuse, Inc. will use a grant of up to $985,000 for a portion of the costs of construction and the purchase of furniture, fixture and equipment for the new 100,200 square foot YMCA facility in Baldwinsville, NY. The YMCA of Greater Syracuse plans to open a 100,200 square foot facility in Baldwinsville to serve the residents, families, and employees of the northwest quadrant of Onondaga County, Southern Oswego County, and northeastern Cayuga County. The YMCA applied through Round 3 of the Regional Council process for assistance and received an award from ESD for $985,000 to close a funding gap. The project was completed in June 2015, and the new facility includes a child care center, an aquatic center, an indoor track, an arts center, and a healthy living center dedicated to supporting cancer survivors and preventing chronic diseases. This priority project is consistent with the Central New York Regional Economic Development Council’s (CNYREDC) plan as it addresses workforce development and increases the Baldwinsville area’s culture and community engagement by providing relevant services that enhance quality of life for residents. The YMCA will create 200 new jobs because of this project, of which 30 have been created to date. The Natural History Museum of the Adirondacks, a not-for-profit organization doing business as The Wild Center, will use a grant of up to $250,000 for a portion of the cost of construction for Phase 2 of “The Wild Walk”, a new outdoor exhibit walkway structure in Tupper Lake, NY. The Wild Center was established in 1999 as a natural history museum on 81 acres in Tupper Lake in the Adirondack Park. The 54,000-square-foot museum provides indoor and outdoor science based programs, exhibits and experiences with 50 species of live animals, including otters, birds, and fish, all native to the Adirondacks. The Wild Center needed assistance to construct Phase 2 of The Wild Walk outdoor exhibit project, an outdoor interpretative educational exhibit designed to connect visitors to the local Adirondack ecosystems with an elevated walkway through the treetops. The Museum applied for financial assistance through Round 3 of the Regional Council process in order to close a financing gap, and the project was awarded $250,000. Completion of Phase 2 will help the Museum attract more visitors and develop a more sustainable business model. ESD previously provided the Wild Center with a $1,000,000 grant for The Wild Walk Phase 1, and both Phases 1 and 2 have been completed. This priority project is consistent with the North Country Regional Economic Development Council’s plan to support existing business entities, to support tourism, and to improve the quality of life in North Country communities. As a result of this project, the Wild Center will retain 38 jobs, while expanding regional tourism and generating additional revenue for the Museum through increased visitors and memberships. The Village of Saranac Lake will use a grant of up to $190,000 to be used for a portion of the construction costs required to make improvements to the village’s sewer system. In order to address the needs of its growing community, Saranac Lake needed to upgrade its sewer system. The Village applied for funding assistance through Round 2 of the Regional Council process and was awarded $190,000 from the North Country Regional Economic Development Council, which had established a specific infrastructure fund to assist North Country communities with municipal infrastructure projects. Without ESD assistance the infrastructure project would not be possible. The project consisted of relocation and replacement of sewer pipelines and was completed in June 2015. The project is consistent with the North Country Regional Economic Development Council’s (NCREDC) plan to support new and existing business development and improve health, safety and quality of life with upgraded infrastructure in North Country communities. Albany College of Pharmacy and Health Sciences (ACPHS), a private college, will use a grant of up to $150,000 for a portion of the cost associated with the demolition and renovation of over 7,000 square-feet of space in three of the College’s laboratories, as well as installation of a Nuclear Molecular Resonance Spectrometer, a powerful instrument used for investigating molecular structure, on its campus. ACPHS currently enrolls over 1,600 students and has over 100 full-time faculty members. The College’s Pharmaceutical Research Institute was founded in 2003 as an independent, not-for-profit research and development institute dedicated to cutting-edge research, pharmaceutical services and education. In 2012, ACPHS adopted a five-year strategic plan to become a world-class center for the creation, refinement and dissemination of knowledge, but the College’s labs, which were constructed in the 1950’s, lacked the required sophistication and instrumentation. ACPHS applied through Round 2 of the Regional Council process and was awarded $150,000 to renovate its research labs and install an NMR Spectrometer. The $1 million project was completed in November 2014, and the new NMR Spectrometer and upgraded laboratories have allowed the College to extend itself to corporate and not-for-profit research interests in the biotechnology, pharmaceutical, specialty chemical, nutraceutical and personal care industries. This priority project aligns with the Capital Region Economic Development Council’s (CREDC) strategic goal of opening new doors by leveraging academic research opportunities to establish world-class research and development capabilities in the Capital Region. Schenectady County Community College (SCCC), part of the State University of New York (SUNY) system, will use a grant of up to $150,000 for a portion of the expenditures required to renovate, fit-up and furnish 5,500 square feet of office space and install an elevator to create a workforce development training center and new office space for Schenectady County Community College’s Workforce Development Division. SCCC, located along the Mohawk River in Schenectady, offers continuing education and community service programs for students striving for professional growth or personal enrichment, as well as workforce development programs to address local employer needs. The Kindl Building is a three-story, 12,000-square-foot building located near SCCC that was donated to the College in 2010 by the Kindl family. The Kindl building, situated off-campus within close proximity to downtown Schenectady, offered the ideal location for the College’s workforce development initiatives, and SCCC applied to and was awarded funding through Round 3 of the Regional Council process to close a financial gap in the cost to renovate and furnish the first floor of the Kindl building to create the space. The $750,000 project will be completed in September 2015, and will serve as a springboard for additional investment and job creation, as the upper floors of the Kindl building have been designated as a tax-free zone under SCCC’s approved START-UP NY application. This priority project is consistent with the Capital Region Economic Development Council’s (CREDC) strategic goal to open new doors by funding development, supporting a workforce training center and creating opportunities for new and expanding commercial enterprises in the Region. Peconic Land Trust, Inc., a not-for-profit organization dedicated to conserving Long Island’s working farms, natural lands, and heritage, will use a grant of up to $1 million to establish the Agricultural Capital Equipment Grant Program, an agriculture-based regional grant fund in Nassau and Suffolk Counties. The Long Island-based Agriculture Capital Equipment Program will create a financial pool of resources to assist farmers who wish to make capital investments in their farming operations. The program was developed in cooperation with the Long Island Farm Bureau, Cornell Cooperative Extension and the Suffolk County Planning Commission, among others. In June 2014, Peconic applied for and was awarded financial assistance through Round 4 of the Regional Council process to make the Program a reality. Peconic expects to make up to 100 grants at a maximum amount of $25,000 to individual farmers who apply for assistance with the purchase of machinery and equipment and to upgrade their farms’ infrastructure. Peconic has already generated applications and plans to make its first round of grants in September 2015. This priority project is consistent with the Long Island Regional Economic Development Council’s (LIREDC) plan to maintain and improve the region’s rich natural assets and agricultural landscapes. MPI Consulting, Inc., a manufacturer of precision-machined parts for the aerospace and defense industry, will use a grant of up to $112,290 for a portion of the cost to purchase machinery and equipment to increase the productivity of its manufacturing operations, as part of the Aerospace & Defense Diversifiaction Alliance in Peacetime Transition’s (ADDAPT) group competiveness improvement program. Established in 1991, ADDAPT was formed by a group of Long Island defense industry business leaders to mitigate significant reductions in defense spending by the Federal government. ADDAPT’s mission is to sustain and grow manufacturing capability in the region’s defense and aerospace industries. 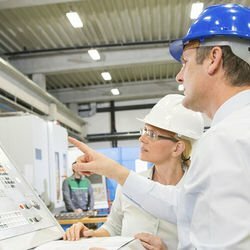 In 2013, $1 million was allocated through Round 3 of the Regional Council process to the ADDAPT Program to support aerospace manufacturing firms that invest in new facilities, facility expansion and machinery, with selections based on industry, capital investment plans and job creation/retention. ADDAPT identified such qualifications in MPI Consulting, and Empire State Development awarded the company a $112,290 grant. The project is consistent with the Long Island Regional Economic Development Council’s (LIREDC) plan to reinvigorate the Island’s manufacturing sector through continued support of traditional defense and aerospace work into advanced technology products. The project will result in MPI Consulting retaining 21 jobs; and the company has already exceeded its job commitment, having created an additional two jobs. Tompkins Cortland Community College Foundation, Inc. (the TC3 Foundation), an independent not-for-profit charitable organization, will use a grant of up to $1 million for a portion of the cost to purchase the machinery and equipment required to create a working farm and culinary center in the Town of Dryden. Founded in 1971 by the Tompkins Community College’s Board of Trustees and community leaders, The TC3 Foundation raises, invests, and administers private dollars to benefit Tompkins Cortland Community College, its students, faculty and staff. Wines, brews, agricultural production, food service, education, and the tourism industries are the drivers of the Southern Tier Region’s economy. Recognizing the importance of supporting these industries, the TC3 Foundation partnered with the College to design a working farm and culinary center to serve as a place of learning and to promote the region’s key food products on the College’s campus. In August 2013, the Foundation applied through the Regional Council process and was awarded $1 million to close a gap in its project budget. This priority project is consistent with the Southern Tier Regional Economic Development Council’s (STREDC) Plan to leverage private investment in business development and expansion of shovel ready sites particularly in the agriculture sector. The project was completed in July 2015, and the Foundation pledged to create 43 new jobs, 42 of which have already been created. Cornell University, a private Ivy League and federal land-grant research university, will use a grant of up to $350,000 for a portion of the construction and renovation costs required for the construction a new 8,000 square-foot research-grade greenhouse on the University’s main campus. Founded in 1885, Cornell is a privately endowed research university and a partner of the State University of New York (SUNY). In 2011 the University identified a lack of adequate greenhouse facilities as the largest constraint to agronomic research at Cornell. Agricultural research helps to minimize the risks faced by farmers and provides them with specific, viable solutions to the challenges of agribusiness. To address these problems, the University sought to improve research capabilities and improve access to the latest knowledge and innovations for New York farmers. In July 2012, Cornell applied through Round 2 of the Regional Council process to close a gap in its construction budget and was awarded a $350,000 grant. The project was completed in March 2015, and Cornell has constructed an 8,000 square-foot, research-grade greenhouse in the Red Greenhouse and Lab Complex on Cornell University’s Ithaca Campus. This priority project is consistent with the Southern Tier REDC’s Plan to leverage private investment in business development and expansion of shovel ready sites particularly in the agriculture sector, while also leveraging university research to enhance the agricultural sector. This project will result in the University retaining 45 jobs and creating one new job. The University has exceeded its goal, having hired 51 employees. L Enterprises, LLC, a privately-owned real estate development company, will use a grant of up to $344,000, to be used for a portion of the planning and soft costs required to redevelop the Emerson Complex in Ithaca, NY into a mixed-use office, manufacturing, incubator and residential space. In 2013, L Enterprises began due diligence efforts to undergo an environmental review of the old Emerson Power Transmission Corporation (Emerson Complex) close to Ithaca’s downtown. The Emerson Complex covers 95 acres and currently has over 800,000 square feet of buildings. The project’s goal is to repurpose most of the existing structures and develop new infill buildings. Performing due diligence and creating a master plan is a critical first step in the redevelopment of the Emerson Complex, but the costs required during these first stages are high, due to environmental complexities. In 2012, L Enterprises applied through Round 2 of the Regional Council process and was awarded $344,000 to cover a portion of these pre-development costs. Phase one planning and development is expected be completed in August 2015, and will result in defining parameters for overall project investment of more than $200 million, indirectly supporting the long-term creation and retention of 1,000 jobs and providing additional housing in Ithaca’s urban core project. This priority project supports the Southern Tier’s Regional Economic Development Council’s (STREDC) strategy to strengthen the economic backbone of the region by attracting talent, leveraging public and private sector investment and enhancing the tax base. Alfred Technology Resources, Inc. (ATRI), a not-for-profit organization doing business as The Ceramics Corridor, will use a grant of up to $300,000 for a portion of the construction and renovation costs to repurpose an existing facility to designate manufacturing incubator space to support startup and existing companies. ATRI’s mission is to support regional economic development by the incubation of startup businesses and their related job creation. ATRI manages two existing incubator facilities in Erwin/Corning and Alfred within the Southern Tier Region. In collaboration with the Chemung County IDA and Southern Tier Economic Growth, ATRI is expanding its incubation support to a third facility in Chemung County, where an empty factory will be repurposed to serve as a manufacturing incubator. To reflect the growth of the incubator in facilities and services, all three facilities will be renamed as “Incubatorworks”, with services in Chemung, Steuben and Allegany counties. During the design and construction phase of the project, it was determined that additional funding would be required in order to complete the project. ATRI applied and was awarded funding through Round 4 of the Regional Council process. ATRI is part of the Southern Tier Innovation Hot Spot and the Western New York Innovation Hot Spot. The Hot Spots, part of Governor Cuomo’s 2013 opportunity agenda, are important resources supporting the growth of the businesses housed in the incubators. This space is also designated as START-UP NY tax-free zone in collaboration with Corning Community College. The project is consistent with the Southern Tier Regional Economic Development Council’s (STREDC) plan to build the region’s advanced manufacturing sector and transportation industry into a global leader and technological hub for next generation development. The development of this incubator will create 50 new jobs and help to attract, diversify, and grow the manufacturing industry In the Southern Tier. 210 Walnut Street, LLC, a for-profit subsidiary of the Greater Lockport Development Corporation, will use a loan of up to $480,000 for the renovation of 16,000 square feet within the former Harrison Radiator plant site located at 210 Walnut Street in Lockport, NY. The project will help to retain Trek Inc., an existing tenant, attract Torrent Inc., a wholly owned subsidiary of Trek, and consolidate manufacturing operations. 210 Walnut was incorporated in 2006 for the express purpose of owning and operating the former plant site, which consists of 500,000 square feet of dilapidated space. In 2013 Trek Inc., a technology company that manufacturers testing equipment for the semiconductor industry, brought 22 jobs to the facility as part of a $4 million renovation of over 48,000 square feet. When both Trek Inc. and its subsidiary, Torrent Inc. (a manufacturer of circuit boards), considered relocating out of New York State, ESD offered a loan of up to $480,000 to help make the financing of Torrent’s renovations and the retention of Trek feasible. Once complete, the project will incorporate Torrent, Inc. into existing operations, bringing the total footprint of Trek and Torrent up to 64,000 square feet from 48,000. The building is in close proximity to the University of Buffalo, which facilitates the recruitment of engineering talent and partnerships with the University. The project is ongoing and completion scheduled for November 2015 and. as a result, Trek and Torrent will retain 22 jobs and create 14 new jobs. Seal & Design, Inc., a manufacturer and distributor of molded rubber products, will use a grant of up to $230,000 as reimbursement for a portion of the acquisition and installation of machinery and equipment costs required to expand its operations and workforce in Clarence, NY. Seal & Design markets its products to automotive, medical, military, electronics, power generation, and hydraulics industries. Headquartered in Erie County, the company operates manufacturing facilities in Clarence and Toronto (with over 100 employees between the two facilities) and satellite sales offices in Syracuse, NY, Akron, OH, and Santa Clarita, California. In 2013, Seal & Design notified ESD of its need to expand its operations and workforce to meet current customer demands and remain competitive in the global market, and considered expanding its operations at several locations, including its Toronto, Ontario facility. ESD offered $230,000 in capital grant funding and $270,000 in Excelsior Tax Credits to encourage Seal & Design to invest over $4 million in capital improvements in Erie County. Without ESD’s assistance, the Company would likely have expanded operations out of state or out of the country. The expansion project was completed in June 2015, and involved the conversion of inventory storage space to manufacturing space. As a result of the project Seal & Design has pledged to retain 75 existing jobs and create 14 new jobs. The company has already added six employees. Market NY is a regional tourism marketing program that supports regionally themed New York-focused projects and bolsters tourism growth by promoting tourism destinations, attractions and special events, and also by providing funding for tourism facilities in New York State. Market NY will use up to a total of $1,300,800 of $10 million awarded in Market NY Round 3 grant assistance and $1,629,462 of the $12 million in Market NY Round 4 Regional Tourism grant for tourism marketing and/or tourism capital throughout various regions of New York State. Each grantee has identified and prioritized Regional Marketing Tourism projects that support the Regional Council’s strategic plans for tourism and will coordinate with New York State’s “I LOVE NEW YORK” tourism division to maximize the overall program impact statewide. The next meeting of the ESD Board of Directors will be in September. Subject: LongIsland.com - Your Name sent you Article details of "Governor Cuomo Announces Over $16 Million to Fund Projects Generating Economic Opportunity Across New York State"